All those offers just sound great, don’t they? It’s like free money. All you do is use your credit cards and pretty soon you’ll be able to get a free Amazon or Macy’s gift card or even a free flight. But hang on there for a second. There’s no such thing as a free lunch and there’s really nothing free about those rewards points. One percent cash back might sound pretty darn good until you stop to realize that’s just one cent on $100. And even that great sounding 5% is really only five cents on $100. Want to earn $100 in cash back? You’d actually have to put $10,000 on that card. Yes, you read that right. You’d have to put $10,000 on that card in order to get $100 cash back. And that “free” airline trip might require you to put a total of $250,000 on a card. Credit card rewards can be a good thing so long as you’re using your cards sensibly, which means never charging more than you can pay off at the end of the month. Let’s say you charge up $200 worth of groceries and $50 in fuel and then pay off your balance at the end of the month. You’d earn $2.50. While that may not seem like much if you continue to do you, you would eventually earn $25. There are times when you will need to charge more on a credit card then you can pay off when the bill arrives. You might need to buy a major appliance and don’t have enough cash available to pay it off at the end of the month. You are one of your family members could have a serious medical emergency. These are instances where it would be okay to charge more than you can pay off at the end of the month. But the important difference here is that you’re using the card sensibly and not to chase rewards. If you do find yourself in a situation where you need to put more on a card, then you can pay off when your statement arrives it’s important to pay as much as you can on your account and not just the minimum monthly payment. The dirty little secret of credit cards is that the companies that issue them want you to make just the minimum payment because this is how they make their money. In fact, if you use a credit card carefully, which means always paying off your balances on time every time, the credit card issuer earns nothing. Theoretically you could put $300 on a card and then have nearly 60 days’ interest free before your statement’s due date. That’s not what the credit card issuers want. If you pay just the minimum amount, your credit card company will start rubbing its hands in glee because you’ll now be paying interest. 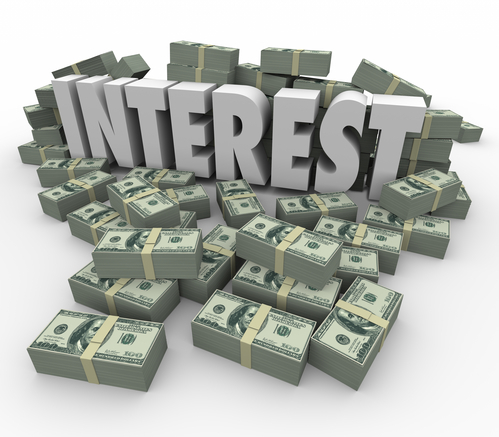 And the interest will compound next month so that you’ll basically be paying interest on interest. Some people call compound interest the most powerful force on earth. If you’re investing money, compound interest can be a powerful ally. However, it’s another thing if you’re borrowing money, which is what you’re doing when you make just the minimum payment on a credit card. You may not think of it this way but if you get a credit card statement for $600 and make a minimum payment of, say, $15, only $6 of that will be applied to your balance while you’ll pay $8.50 in interest. if you continue to make just the minimum payment of 1% of your balance, it will take you 59 months to pay off that $600 – assuming again that you don’t put anything else on that card – and you will pay $291.75 just in interest. As you can see from this example, compound interest is where the credit card companies make their money and this is why they start licking their chops when you make just a minimum payment. Let’s take another look at those rewards versus compound interest. For the sake of an example let’s say you put $400 on a card, which means you would earn 1% cash back or four cents. But if you carry forward $300 at 17% and make a minimum payment of $15, your interest charge would be $4.25 or four times more than your reward. You would not even come out if you were earning 5% or $5 cash back as the interest charge would still be more than what you were earning. The very worst thing you can do with credit cards is to chase rewards to the point where things get out of control and your credit card debts become unmanageable. Unfortunately, there are people who do just this. They become so focused on those juicy rewards that they completely lose track of their credit card debts. These people generally end up in consumer credit counseling. Or they try to get a debt consolidation loan, which at least provides some short-term relief. In a worst-case scenario they file for a chapter 7 bankruptcy. This is often called the “nuclear option” because of what it would do to your life. You’d have a very hard time getting new credit for two or three years after your bankruptcy because of the damage it did to your credit score. The bankruptcy will stay in your credit reports for seven years and in your personal file for the rest of your life. 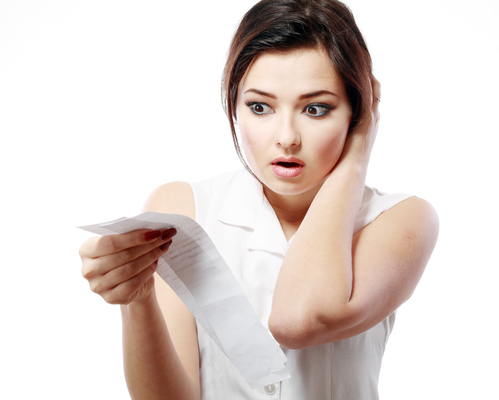 You might find it tough to rent a house or apartment after a bankruptcy. And your insurance premiums would likely go up. In short, a bankruptcy would basically shred your financial life. Q. How are credit cards bad? The best way to think about credit cards is the same way you’d think about a fire. If you make a small fire to burn leaves and keep it under control, it’s a useful tool. But if you let it get out of control it could ruin your life. The same thing is true of credit cards. If you use them sensibly they can be helpful tools. But if you let your credit card debts get out of control, they will ruin your financial life. Q. Why are credit cards safer than cash? A. If you lose $100 in cash it’s gone. If you lose a credit card, the company that issued it will simply cancel it and send you a new one. In addition, a credit card protects you from theft. If a thief were to get his hands on your card and charge up $5000 worth of stuff, your liability would probably be maxed at $50. And many of the credit card issuers don’t even enforce that. Q. Are credit cards worth it? A. Credit cards are just little pieces of plastic. As such, they have no intrinsic value. They only become worthwhile based on how you use them. Credit cards are a great way to track spending if you’re budgeting. If you pay off your balances on time credit cards can save you money because you’ll have a better credit score, which means lower interest rates. And finally, many credit cards now offer rewards in the form of points, cash back or airline miles. Q. Which credit cards should I close? A. The answer to this one is simple. You should never close a credit card. Your credit score is based on five components. One of them is your “length of credit history”. It accounts for 15% of your score. It’s calculated by averaging the length of time you’ve had your various types of credit. If you’ve had a credit card for eight years, an auto loan for four years and a personal loan for three years, your length of credit history would be five years. If you were to close the credit card you’d had for eight years, your length of credit history would immediately drop to 3.5 years, which would mean a ding to your credit score. Q. Why do credit cards give cash back? A. The people behind rewards or cash back credit cards don’t offer them out of the goodness of their hearts. It’s because they want to motivate you to use your cards. If you have credit cards and don’t use them, the credit card issuers make no money. If they offer, say, 2% cash back on specific purchases you’re likely to use that card in order to earn the 2% cash back. Q. Are credit cards secured or unsecured? A., Standard credit cards are unsecured. This means you’re not required to provide any collateral to secure them. All you do is fill out an application and then wait for your new card to arrive. There are also secured credit cards. People often use them to rebuild credit after a bankruptcy or debt settlement. They are generally secured by a savings account or a certificate of deposit. Q. Why do most credit cards now have chips? A. This is a security issue. Credit cards with chips are simply harder to hack. Each contains a microchip. Whenever you make a transaction a one-time code is generated that’s required for the transaction to be approved. This is a feature that’s practically impossible to replicate in a counterfeit credit card. In addition, credit cards with chips never leave your site so no sales clerk could steal your information. Last but not least, here’s a short video that lays out credit cards’ risks vs. rewards and in just 90 seconds!